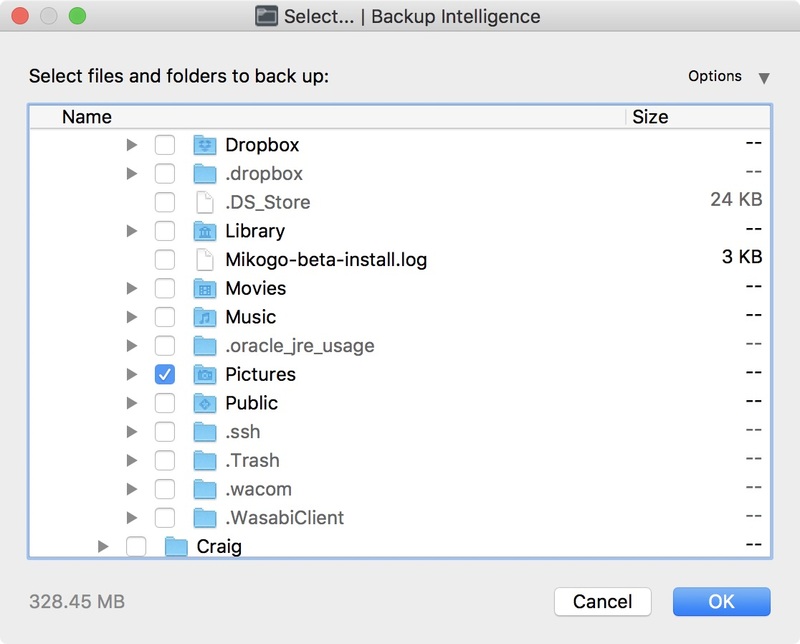 You can download the latest installers for Backup Intelligence from this webpage https://backupintelligence.com/download-backup-intelligence/download Simply choose your operating system from the icons shown on the download page. 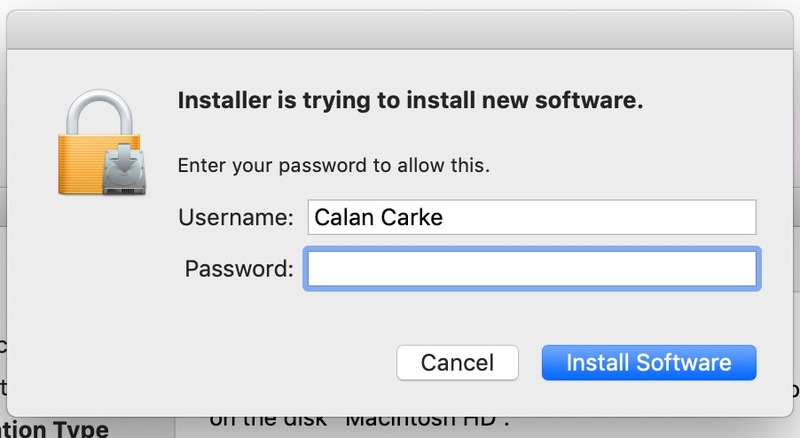 Once you have downloaded the installer, run it and you will first see this window. Windows users will follow a similar process. 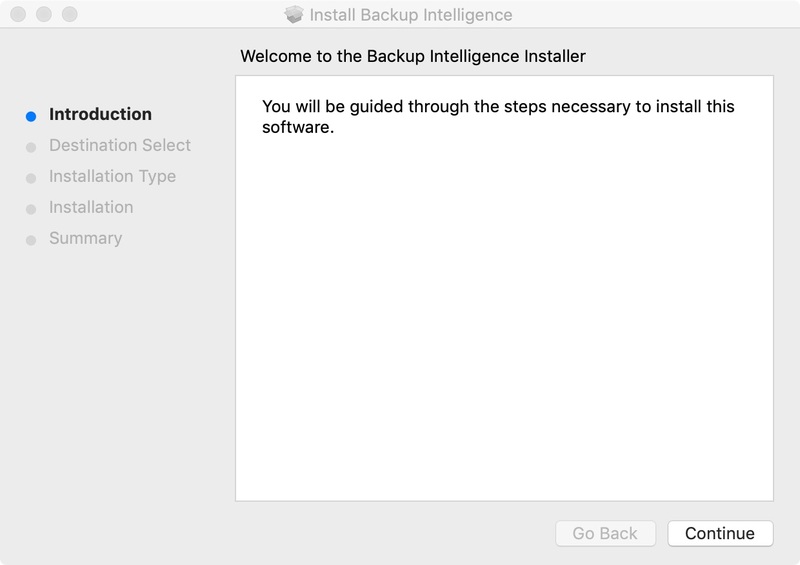 You will then select where you want to install Backup Intelligence software. Now check you are happy with the application's folder location and then click “Install”. You then may be asked to enter your machines password. The installation will complete after a few moments. Once finished, click "Next". 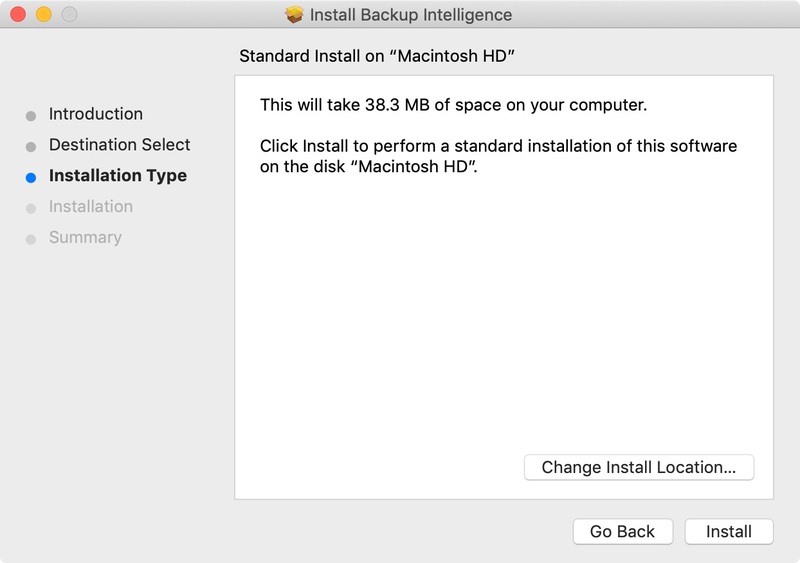 We recommend keeping the "Launch Backup Intelligence" box ticked to get started right away. Now click “Finish”. When you first open Backup Intelligence you will be asked to sign in or register a new account. 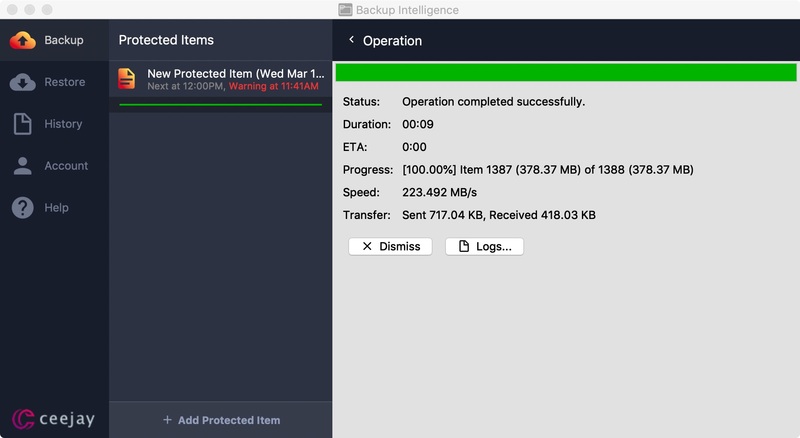 If you choose to register you will be taken to our sign-up page at https://backupintelligence.com/ where you can start your free 30-day trial if you haven't had an account for Backup Intelligence before. 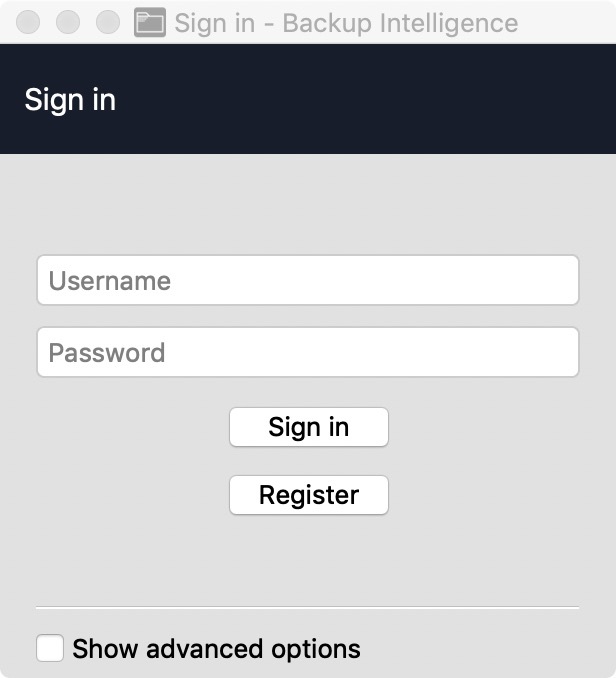 With your username and password, click Sign In to begin. Once you have signed in you will first see the home screen below. 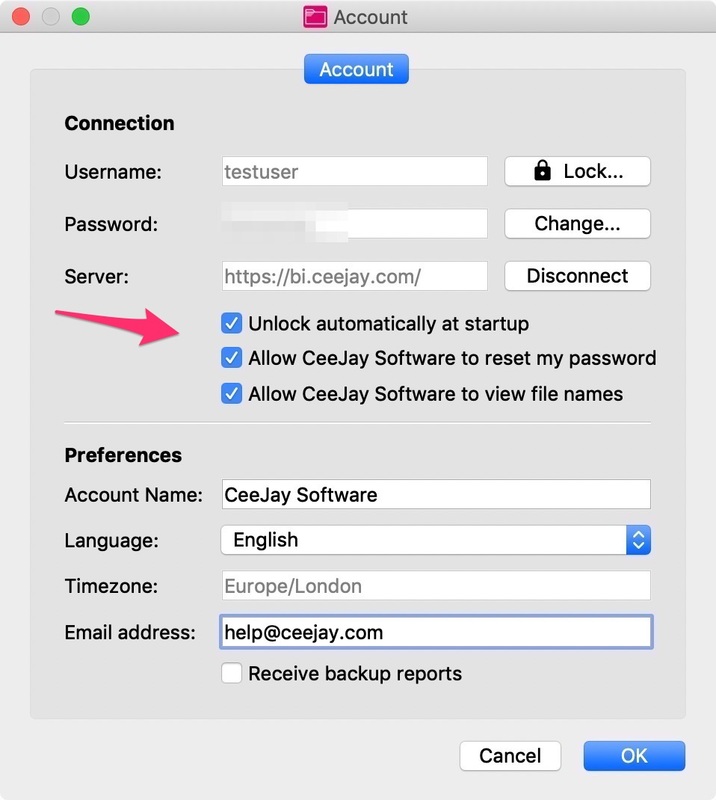 Before you begin adding a Protected Item you'll need to decide if CeeJay Software should have permission to reset your password in case you forget it, Unlock automatically at startup or Allow CeeJay Software to view filenames. If you do want to give permission, first click the Account tab on the left menu. Then click your Account Settings on the right, where you'll be able to tick the box granting access. 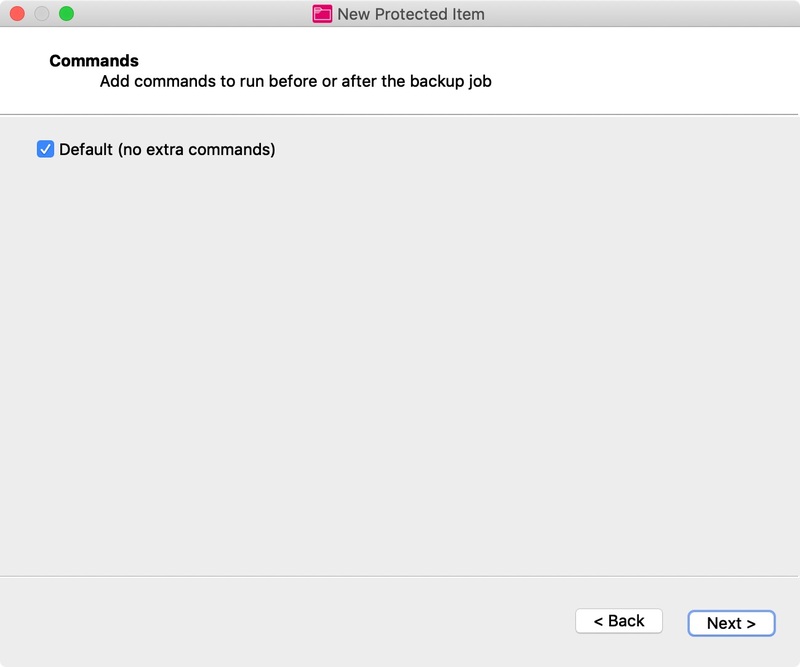 Then click okay, and then click the Backup tab on the left menu to return to the home screen. On the home screen click “Add Protected Item” at the bottom left to begin adding your new backup. The Protected Item wizard will start. 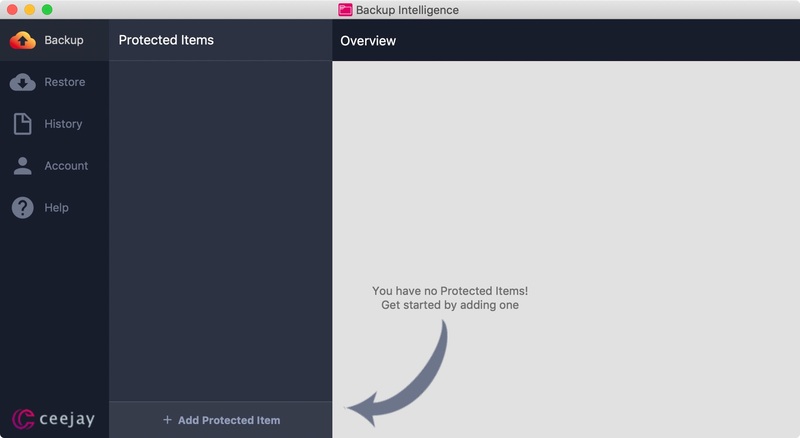 Give your Protected Item a meaningful name, and then select what type of backup you require. Now click "Next". 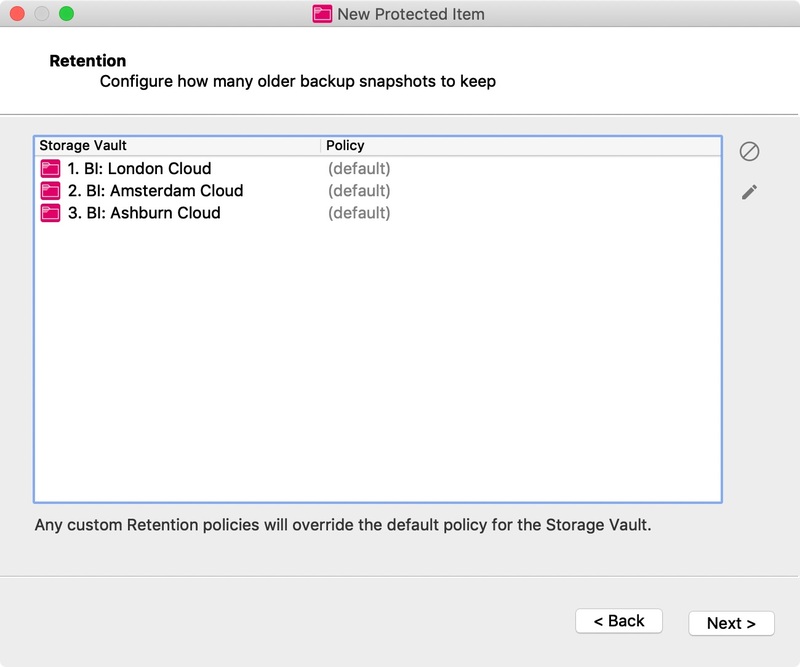 We're now going to choose exactly what you need to back up. Click on the "+" button at the top-right to add new files and folders. 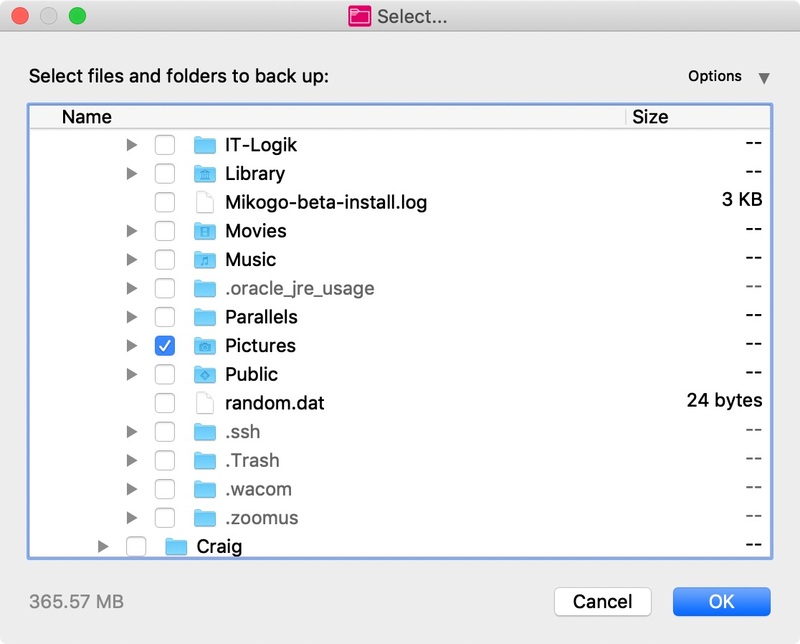 On this screen there are also options to take filesystem snapshots (best used with servers that have files in use throughout the day) and to always re-scan unchanged files if necessary. 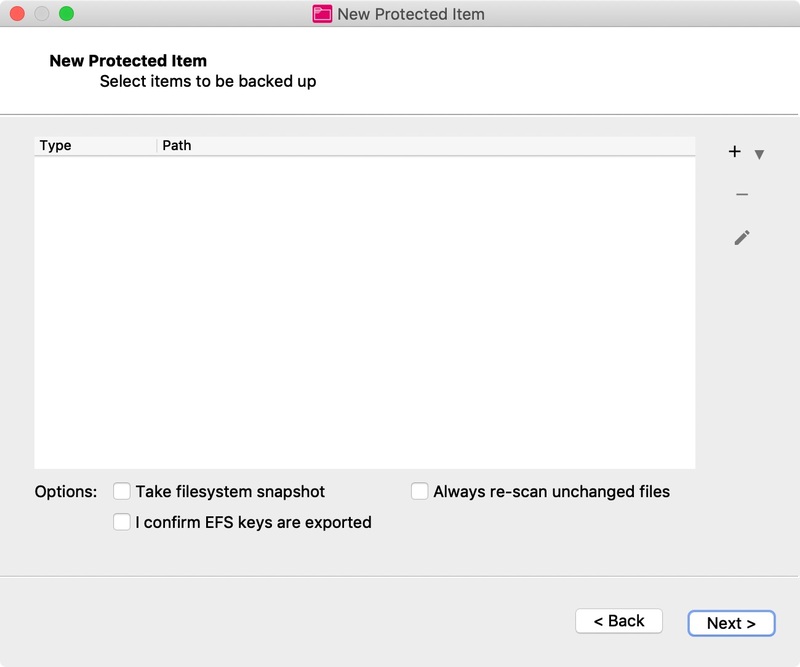 If you are backing up encrypted files please make sure you have the EFS keys exported and tick that box. After clicking the "+" button you can now choose from your folder hierarchy the files and folders you need. Tick everything you need backed up, and then click "OK". 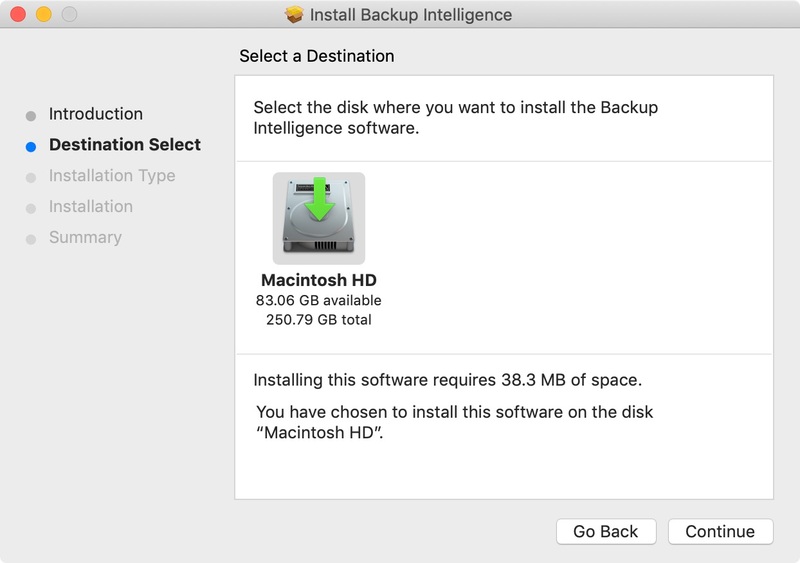 We recommend only selecting raw data you need backed up, as there is generally no benefit to backing up Program Files and Applications that you can reinstall from elsewhere. Doing this will also reduce your storage space. Once you're happy with your selection, click "Next". You will now be asked if you want to add any advanced commands. We recommend keeping this selected as default if you're just getting started. Click "Next" to continue. We now need to add an automatic schedule of your choosing so that the client can back up in the background. To add a schedule, click the "+" button. 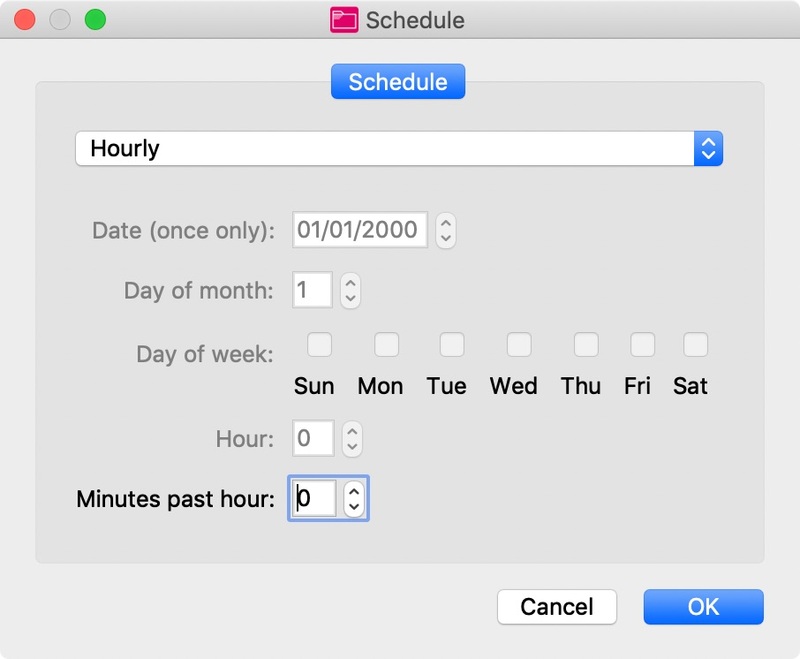 You'll be taken to the General tab of the schedule's wizard where you can choose to give the schedule a meaningful name, select the storage vault you want your data backed up to, skip if already running (recommended for large file selections that will take a long period to back up initially, to stop multiple jobs running at once), to cancel if running after a certain amount of time, limit the backup speed, to back up using only one disk thread and Prefer temporary files instead of RAM (Use this if your have a large amount of files but low RAM). Now click the Time tab where you can use the "+" button to add a new routine. 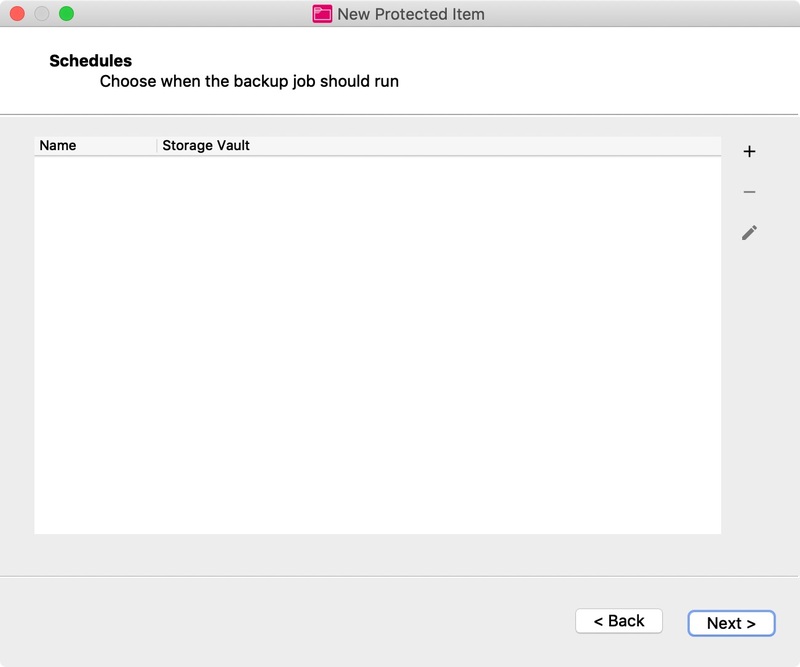 You'll be able to select an hourly, daily, weekly, monthly or even just a backup that occurs once only. Now enter the required time and click "OK". Check that your routine is listed in the Time tab, then click "Save". 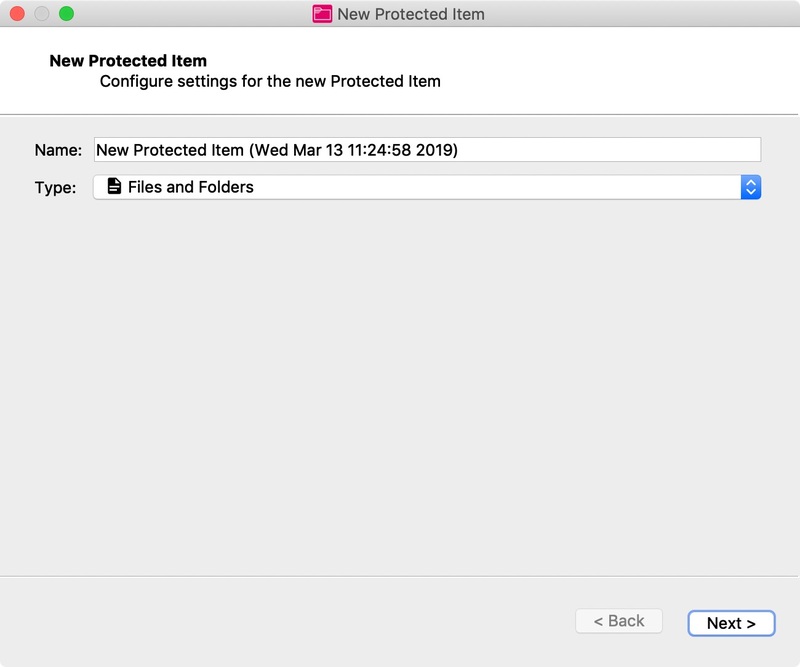 You will now come to the Protected Item's data retention policy, which controls how long you want the past versions of your selected files to be stored for. The default is forever, however you can override each policy to apply only to your Protected Item by selecting the policy and clicking the pencil icon to edit the policy. Once you're happy, click "Next". 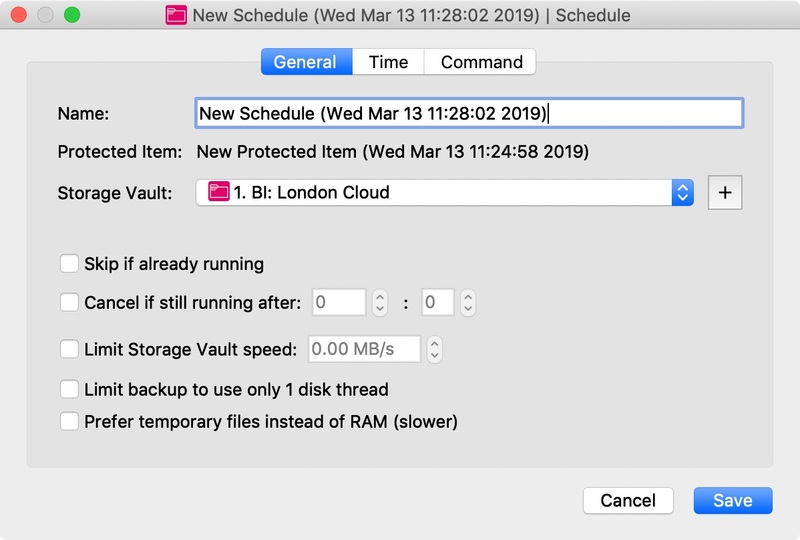 Finally, you can choose to run a backup now or wait until it is time for the schedule to back up. Click "Finish". 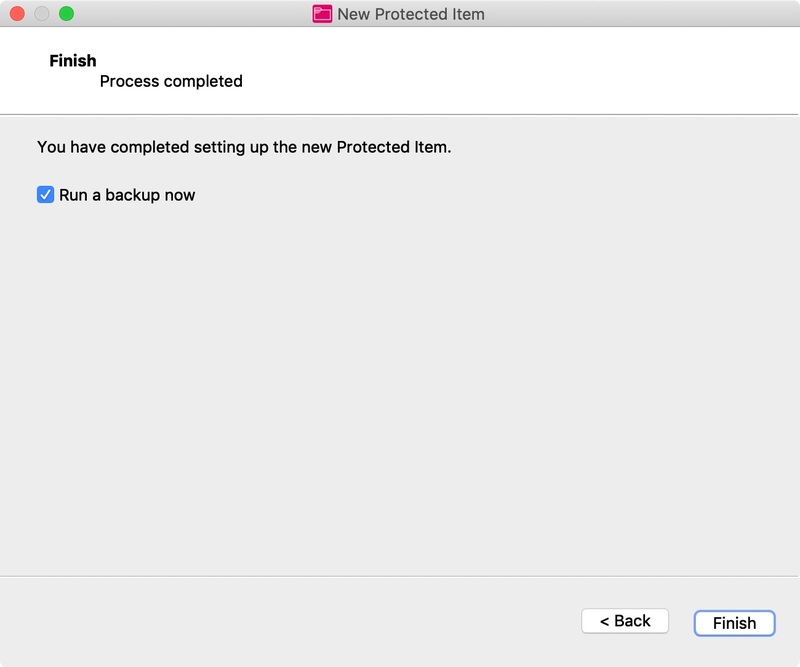 Once your backup has finished you should see "Operation completed successfully" as its status. However, if you see anything different please click the "Logs..." button and you will get more details related to any errors. If the issue isn't clear or you need further assistance on anything relating to the client please search for answers to frequently asked questions first at https://help.ceejay.com or contact us through the help icon on our website.